The word “Cerceruska” is the title of a Hungarian folktale, also this word is used as name of a little character appear in the story. 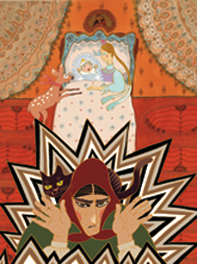 This folktale appeared in Hungary as an episode of a well known TV animation series called "Hungarian Folk Tales". 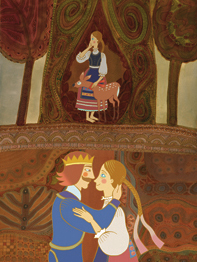 Although Cerceruska is an animated short film, Anido had passion to publish this film as a picture book. 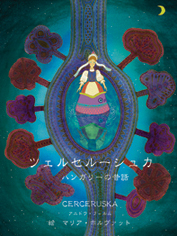 The director Maria Holvath drew the original illustrations specially for publishing this picture book, and this book has been published only in Japan. There is a lot of metaphor expressed through her beautiful illustrations, the unique world she illustrates will definitely impress all readers. She was saying to us, every object in this story have the meanings behind. For example, “hollow” has meaning of “maternity”, and to represent the meaning there are many circular shapes appeared in this story. 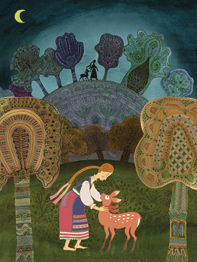 a beautiful girl Cerceruska was lost in the forest for her stepmother's trick. And in addition, her pretty younger sister became a doe! One day a young prince was hunting in the forest and he spotted beautiful Cerceruska. He fall in love with her.